You are at a crossroads in your sales career. It is win or move on time. You fervently search for the tool, tip, system, and company that can positively change your trajectory. You did not think it would end this way. You desperately want a turnaround to get unstuck. Imagine if you could pull up a seat and listen in on the best practices of the nation's top residential real estate sales people. Well, you can with Dr. Lee Davenport's book, Profit with Your Personality: How Top Producers Win at Lead Generation, and How You Can Too. Dr. Lee Davenport has surveyed some of the nation's top producing residential salespeople and shares in this interesting read some key takeaways that can change the game. Ready for a turn-around in your sales lead generation? Then be inspired by this reflective read. Grab your copy today. 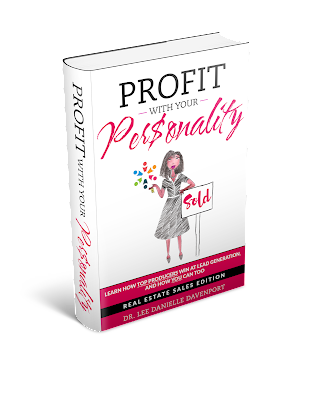 If you want to learn from the best of the best, read Dr. Lee Davenport’s new book, Profit with Your Personality. As a real estate coach and trainer, Dr. Lee has written a thoughtful and insightful guide for REALTORS® and Brokers to provide them with actionable tips to bring their business to the ‘next level.’ Rather than a ‘one size fits all approach’ Dr. Lee focuses on how REALTORS® can tap into their personal strengths to become Top Producers. This easy-to-read guide is a must-have for those who are looking to succeed. Dr. Lee Davenport has led the real estate industry to embrace technology and social media. Her thought leadership in this area has impacted agents and brokers across the country. But more than just her track record, my admiration of Dr. Lee stems from her warmth and compassion towards each individual she interacts with. Rare that you find such a beautiful combination and I am proud to call her a friend. True success is born out of an acute self-awareness, strong work ethic, and abiding determination. 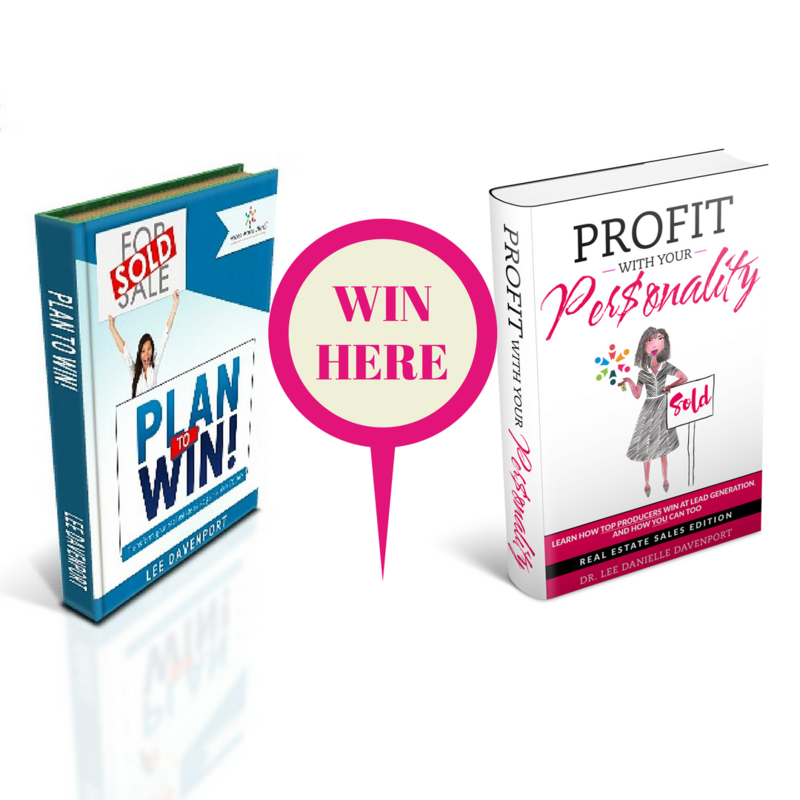 In this book, Dr. Lee will walk you through a process of self-evaluation to pinpoint what is and is not working in your business plan, and she will give you the courage to try new tactics until you find that perfect fit.